An anti-corruption agitation by NGOs in 2011 forced the government to enact a law setting up a lokpal. In an outrageous twist, the government now seeks to use that same Lokpal Act to harass NGOs in ways unprecedented in democracies. This is not a new political tactic. When accused of misbehaviour, politicians try and turn the issue into one of misbehaviour by the accusers. A classic example was the Tehelka sting operation on politicians and defence officials over a fake arms deal. The ensuing furore led to the resignation of NDA officials Bangaru Laxman and Jaya Jaitley, and the temporary ouster of defence minister George Fernandes. But the government then turned the inquiry that followed into a witchhunt of Tehelka itself, using sundry forms of harassment like income-tax raids, the jailing and prosecution on flimsy grounds (that expectedly failed) of a top Tehelka financier, the imprisonment of a Tehelka journalist, and criminal charges under the Official Secrets Act. The harassment died a quick death after the NDA government was voted out. Are we seeing a repeat performance? 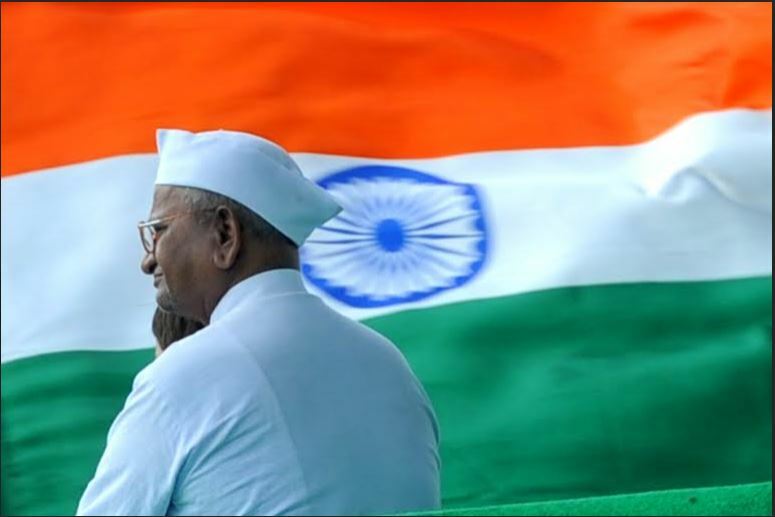 NGOs led by Anna Hazare agitated for a strong lokpal to quickly investigate and jail corrupt politicians and bureaucrats. All political parties promised a strong lokpal to persuade Hazare to end a fast unto death. But the lokpal bill that was eventually passed in 2013 had far less teeth than promised. Today, almost three years later, no lokpal has been appointed, highlighting the reluctance of politicians to create an independent institution to expose their crimes. Meanwhile, public servants have been asked to file annual returns on assets owned by them, their spouses and dependent children. Now comes the sting in the tail. A government notification in June has defined as a “public servant” any official of an NGO that has received any grant of over one crore rupees from the government or Rs 10 lakh from any foreign organisation. All office-bearers of such NGOs must file complete returns of assets by the end of July or face prosecution for having used “corrupt means” to accumulate assets. In this manner, a law originally aimed at prosecuting politicians and bureaucrats is being turned into one for persecuting thousands of NGOs. It is aimed especially at NGOs that get even meagre funds from abroad, a throwback to old RSS suspicions of foreigners subverting India. It will apply to many NGOs that supported Hazare’s agitation. The analogy with Tehelka is only partial. The government response at the time was to attack the accuser. In this case, the harassment will apply to all NGOs, including thousands that did not participate in or support the Anna Hazare crusade against corruption. What the two cases have in common is to dilute the focus on corrupt politicians and shift it to others. Ideally, the lokpal bill should have confined its targets to ministers and top bureaucrats, exposing big corruption. By casting its net so wide as to cover all public servants, the Act has distracted attention from big corruption, and created ways for the government to appear to be tackling corruption while shielding the big guns. Now, by including thousands of NGOs in the definition of public servants, the government has made a mockery of the original aims of the Anna Hazare crusade. Noshir Dadrawala of the Centre for Advancement of Philanthropy is a director on the Board of the International Centre for Non-profit Law. He says he has written to the CEO and other members of the board, and they all seemed to think that no other developed country has such a law. One of them said that China is contemplating such a move, but nothing has been concretized yet. It is a sad commentary on our democracy that we have overtaken China in violation of civil rights. It is unclear what will happen if spouses of NGO officials refuse to reveal their assets. India still has a patriarchal mindset in which wives are the property of husbands and have no independent financial existence. But once we get away from gender biases, a wife cannot be liable for anything her husband has done, and her accumulation of assets cannot be interpreted as corruption on her husband’s part. NGOs are petitioning the courts. The judiciary should see this move for the diversionary tactic it is, and insist that the focus on corruption returns from NGOs to top politicians and bureaucrats. 2. Is it wrong for the government to ask NGOs to declare their incomes and assets. I mean working for public good it is assumed that they will have nothing to hide. Where does the harassment come in the picture if the NGOs are compliant with the law. there are many such questions which have been skimmed over in making this article an anti government tone, which I think is not really warranted in this case.